Among the unique rituals performed on the holiday of Sukkot were the additional offerings that were sacrificed in the ancient Temple. On the first day of the holiday, 13 young bulls were sacrificed, on the second day 12, on the third day 11, on the fourth day 10, on the fifth day 9, on the sixth day 8 and on the seventh day 7. In total, 70 bulls were offered. Sukkot is the only holiday on which the number of the sacrifices varies from day to day. In the Talmud (Sukkah 55b) Rabbi Eliezer explains that these 70 offerings are brought "For the [merit of the] 70 nations of the world." Rashi, the famous 11th century commentator, explained that this was, "To bring a forgiveness [offering] for them [the 70 nations], so that rain shall fall all over the world." One of the reasons that Sukkot is known as "Z’man Sim’chah’tay’nu," the time of our rejoicing, is that it follows immediately after the Yamim No’ra’im, the Days of Awe (Rosh Hashana and Yom Kippur). The Jewish people are especially joyful knowing that the world has just been judged and, please God, their prayers for atonement have been accepted. Most people, when they are happy and feeling confident, wish to share their joy with those around them. 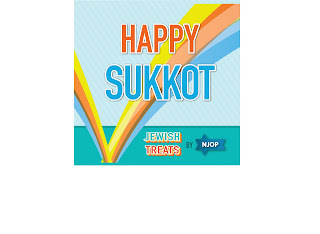 So too, at Sukkot, the Jewish people wish to share their happiness with the rest of the world. Why does Rashi specify "so that rain shall fall all over the world"? Rain is the ultimate sign of blessing (when it falls in a timely manner and in proper proportion). Without rain nothing can live. Additionally, when all nations are sufficiently endowed with their needs (water, food, etc.) peace prevails, and peace is the greatest blessing of all. This Treat was reposted in honor of Sukkot.